City 2017 Dewatering Map Now Online | Save Palo Alto's Groundwater! The City has updated the online map of dewatering sites. 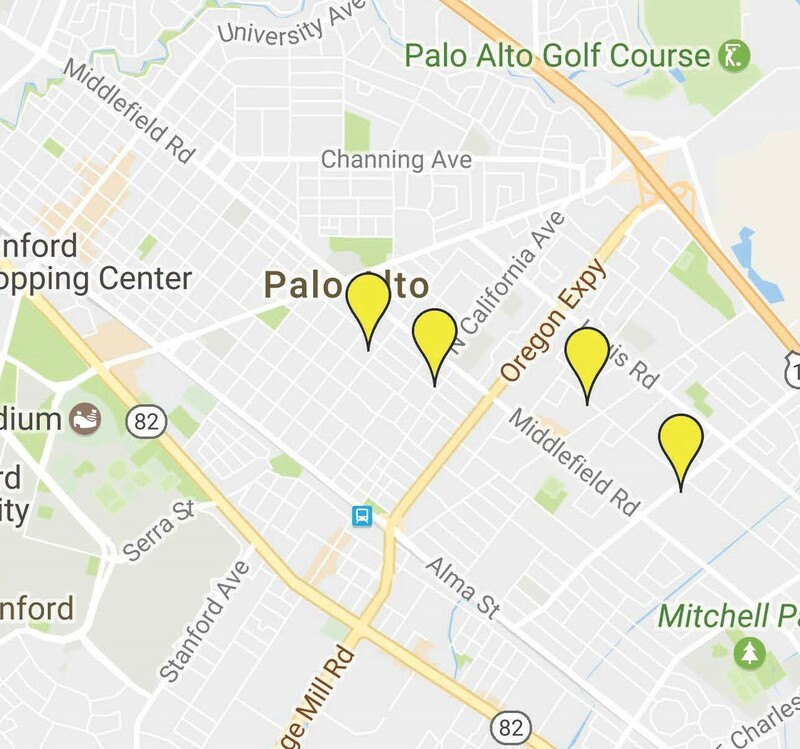 You can easily find the location of Palo Alto’s 2017 dewatering sites by clicking the Maps link on the right-hand side of this page. As of May 31st, yellow marks indicate pending, green indicates pumping, red indicates completed. Note that dewatering impacts can extend 200 – 400 feet (about 1 city block) from the dewatering site. See the graph on our Feb. 5, 2017 blog, “Building basements without wasting water”. Neighbors have mentioned cracked walls, cracked windows and cracked walkways, doors that stick, trees that died a few months after dewatering ended, etc. If you notice any such impacts on your property, please let us know by entering a reply/comment at the bottom of this page, or send us an e-mail at info@savepaloaltosgroundwater.org. Also, we consider dewatering to be “localized drought” for the neighboring properties. This article in the Mercury News and this article in the Business Insider explain drought mitigation for properties. Caveat emptor! Hi there is a big very tall evergreen tree needles turn brown with lots of long thick branches (60 to 80 feet tall) evergreen tree died this year on 718 Marion ave Palo Alto. there is a big crack in my yard at 727 moreno ave .